Illustrator never fails to have amazing updates that provide me with work efficiencies and tools I didn’t even realize I needed. Fancy term. Basically if you created logos/ other vector graphics but did not make them an editable symbol, you can still edit all of them. Read more on how this feature works. I will 100% be abusing freeform gradients. I love them. It provides all the freedom of a mesh gradient without all the difficulties. Freeform gradients are as easy to manipulate as linear or radial gradients. Read how to create and edit freeform gradients. Now you can preview the font characteristics, such as size, style, leading, and tracking in real time, hover the pointer over the font characteristics available in the Control panel and the Character panel. Read how to set it up. Puppet warp was the big game changer for me in the 2017 release, now it is even easier.\Illustrator now automatically identifies the optimal areas to transform and automatically adds pins to the artwork. This enhancement is now turned on by default when the Puppet Warp tool is used. Powered by Adobe’s AI (Sensei) the new content aware crop identifies the visually significant portions of the selected image. A default cropping box is then displayed based on this identified portion of the image. 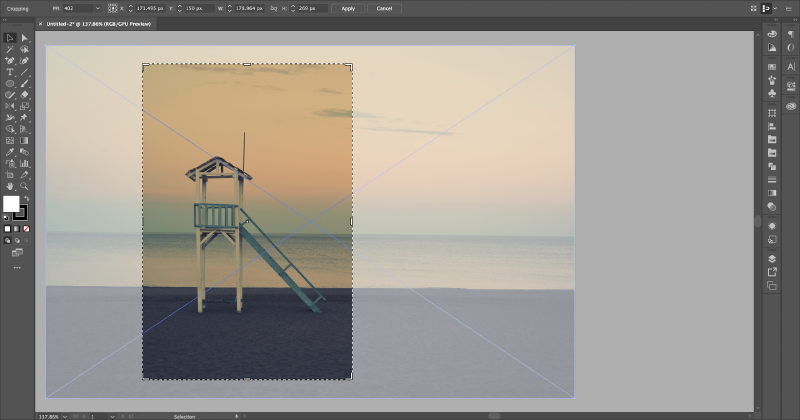 You can adjust the dimensions of this cropping box if needed. Illustrator had a few more updates for 2019, check them all out.